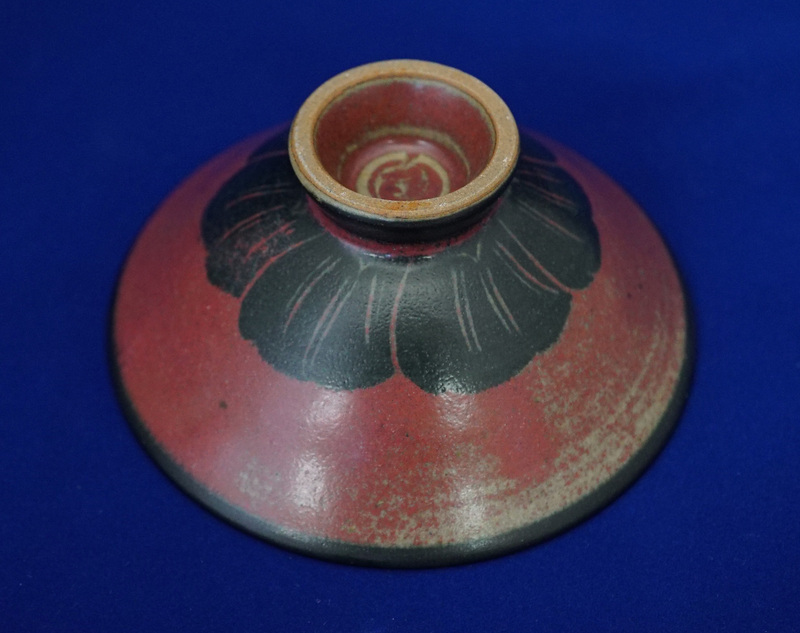 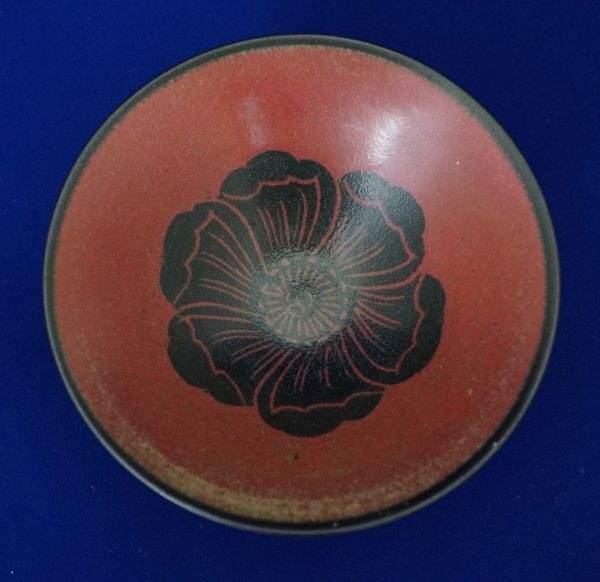 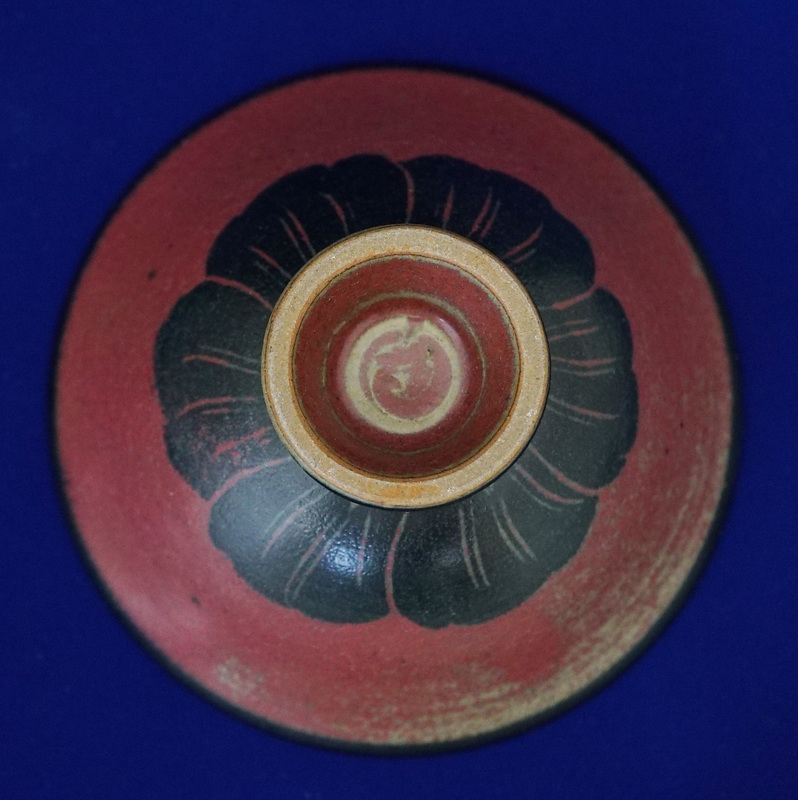 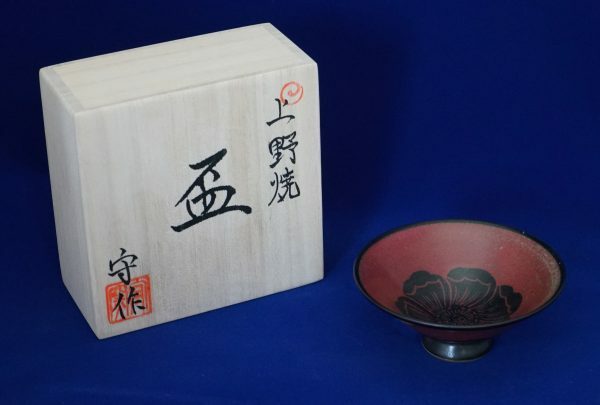 It is a big sake cup whose color is red and black and the design is based on Samurai. 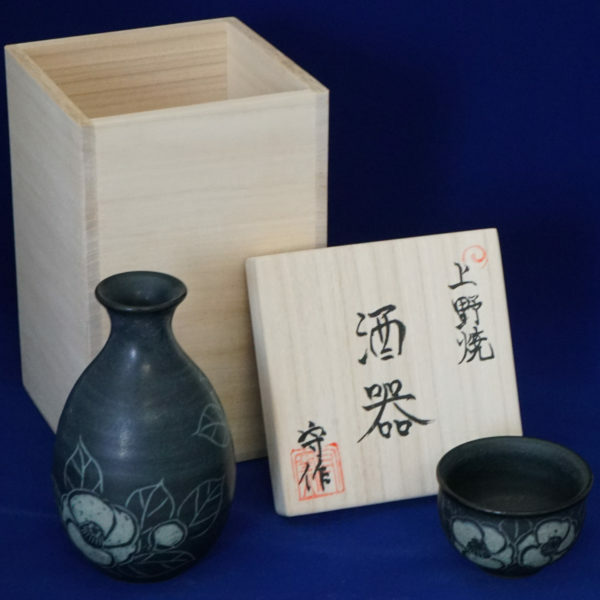 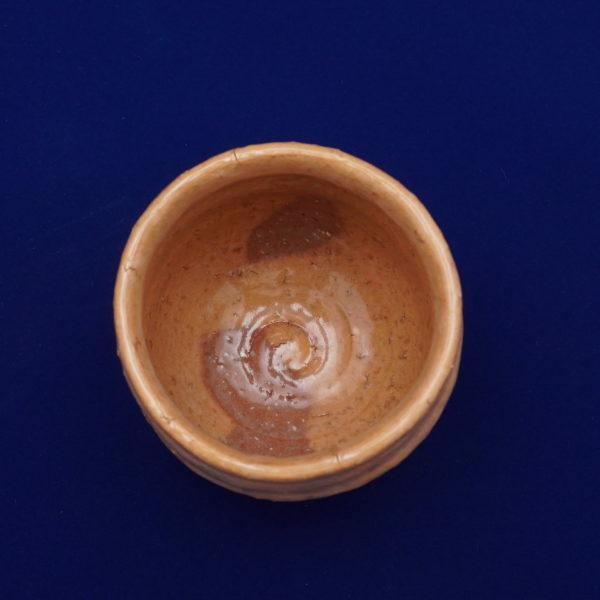 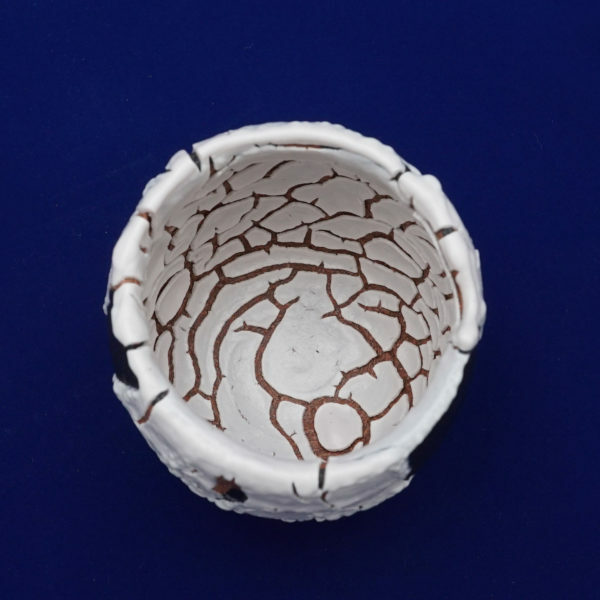 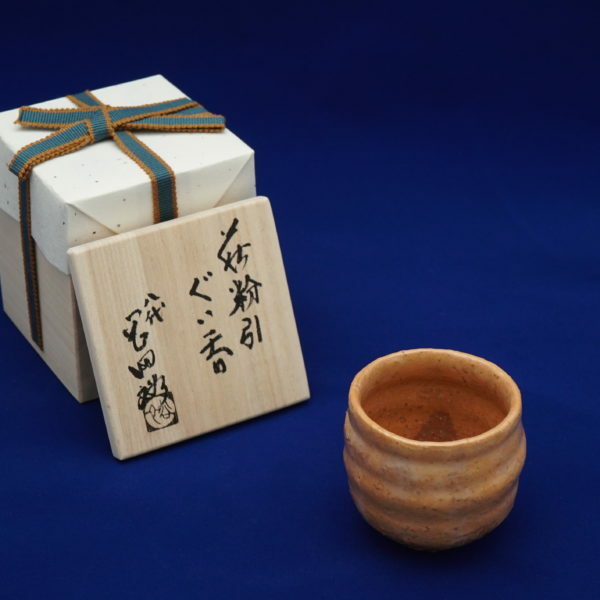 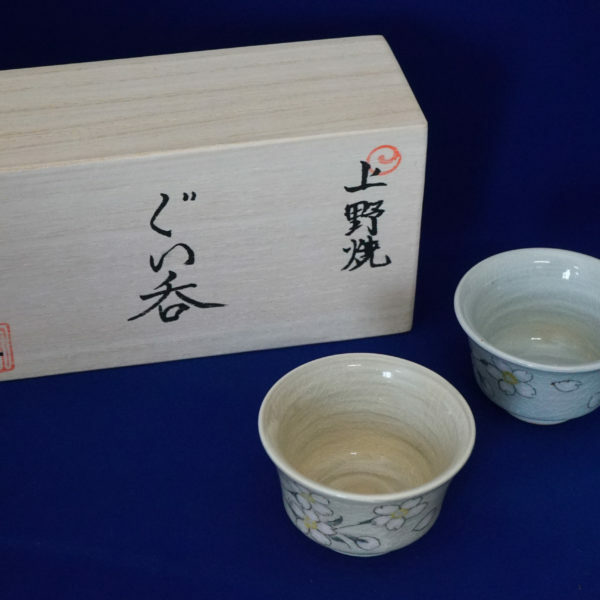 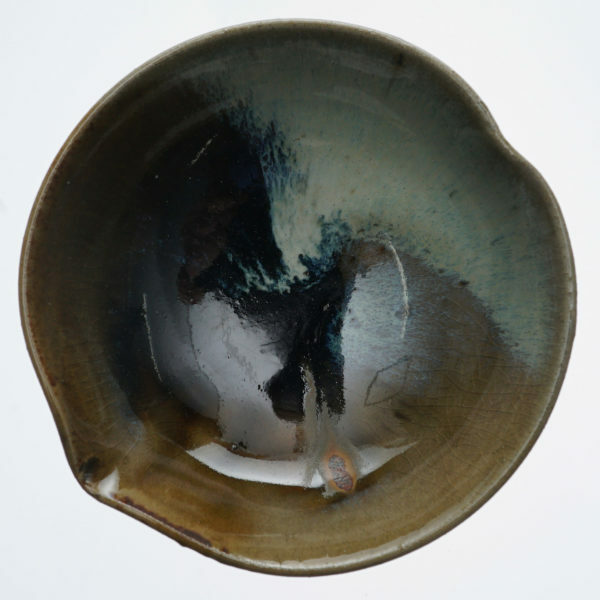 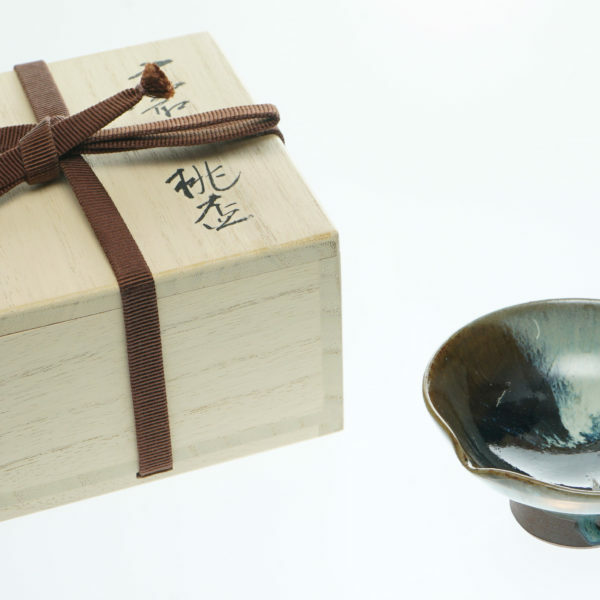 By erasing the luster made by glaze, this sake cup looks sophisticated. 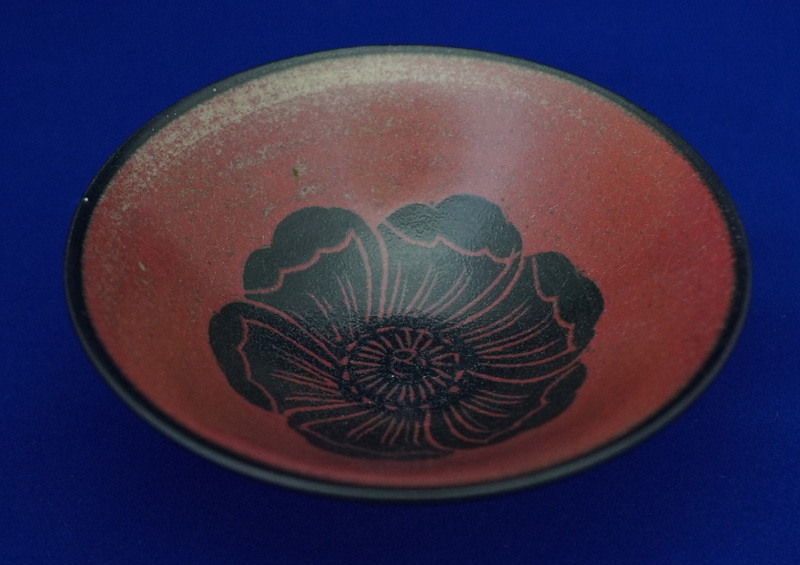 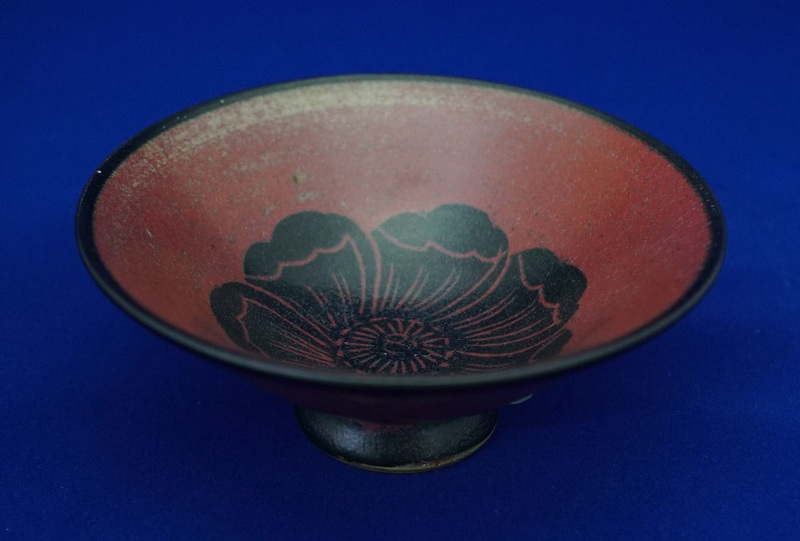 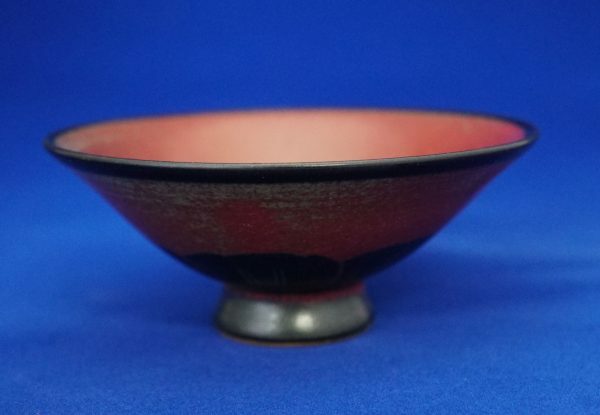 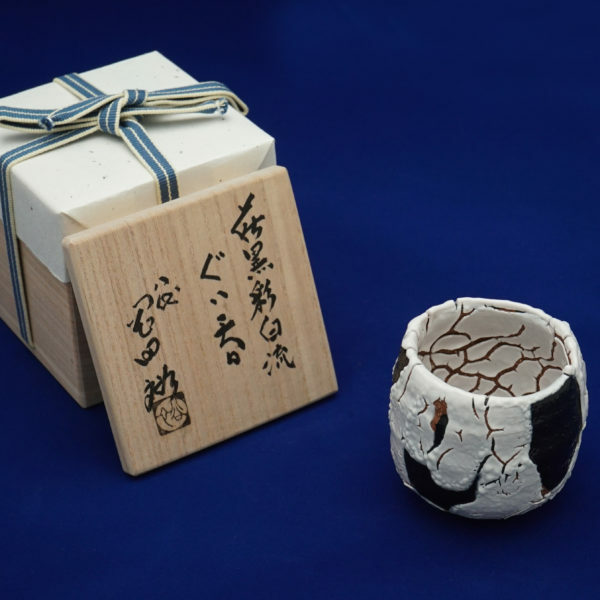 Made in Japan Free Shipping Worldwide Typical Takatori-Yaki 3 colors graze mixed on flat cup.